Gust announces acquisitions of Sharewave and Preferred Return; creates the most robust and affordable equity management solution for early-stage startups. Gust, the global service provider powering the entrepreneurial ecosystem, announced today the launch of a comprehensive equity management platform, Gust Equity Management. The new platform provides early-stage companies with powerful cap table management and audit-defensible 409A valuations starting at just $29/month. Gust Equity Management is the result of combining products, services and teams from two recent Gust acquisitions: Sharewave and Preferred Return. Early-stage companies can now manage, model and share their cap tables, entirely backed by AICPA-compliant 409A valuations that meet the standards of the Big Four accounting firms. 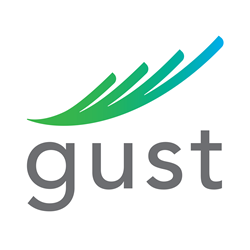 Unlike competitors, Gust Equity Management does not require that it be the custodian of a company’s stock certificates, nor does it require a startup’s lawyer to participate (although Gust works with many of the country’s leading corporate law firms). This fully online system keeps control in the hands of the company and not an intermediary platform, avoiding unnecessary gatekeeping while providing robust tools and services that directly serve the company. Sharewave was founded in 2012 by Joshua S. Levine, former Chief Technology and Operations Officer of E*TRADE Financial and a team of finance and technology veterans, supporting cap table and investor reporting throughout a company’s lifecycle. Preferred Return was founded in 2011 by a team of Stanford Alumni, offering software-enabled valuation services by combining U.S. based valuation experts and robust technology. The firm has provided over 2,000 valuations to date, withstanding Big Four and SEC scrutiny. The Gust Equity Management team operates out of Gust’s New York City headquarters. Gust is a global organization dedicated to empowering the entrepreneurial ecosystem. Gust’s suite of products and services enables connections, illuminates opportunities, and fosters meaningful collaboration for founders, investors, and all ecosystem players. As the world’s largest community of entrepreneurs and early-stage investors from 190 countries, Gust is the official platform of the world’s leading national and international angel investor federations, including those in North America, South America, Europe, Africa and the Asia-Pacific region. More than 350,000 startups have already used the platform to connect and collaborate with over 60,000 professionals focused on early-stage companies. For more information, please visit http://www.gust.com, or explore Gust’s most recent local ecosystem launches at Digital.NYC, Tech.London, or StartHub.org.